The Army is currently deep in the weeds in the process of trying to replace the venerable M9, which has served the US for nearly 30 years. The initial estimates placed the cost of the replacement program around $300-500 Million dollars, however a new report shows that the cost to taxpayers will likely be over a billion dollars. Sen. McCain puts the total value of the MHS at not $350 million, or even $400 million, but a whopping $1.2 billion for the winner. The big factor here is that the Army’s RFP calls for the gun and ammo to be manufactured by the same company/partner companies. That means if, for example S&W won the gun contract, they’d need to also produce the ammo. Interesting, S&W is set to do this, by partnering with General Dynamics to offer a joint RFP to fill the potential MHS contract. 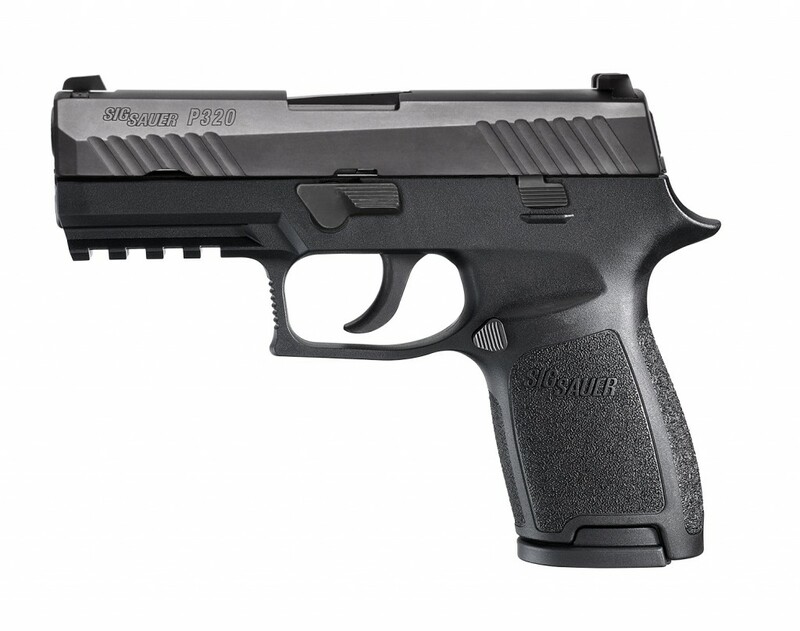 Another company that would clearly be in the running would be Sig Sauer, with their (pictured) P320 modular handgun. Sig also produces their own line of branded ammo, meaning that they also have the capacity to meet the RFP’s requirements. Sig is also the apparent front-runner in the FBI’s new handgun acquisition, which if selected might, or might not, help it in the Army’s MHS competition. Of course, the real issue with the MHS is “why?” Even if the program continues on its current pace and hits its milestones, you won’t see a new pistol in soldier’s holsters until late 2017/early 2018, and I’d sadly expect the cost to balloon even further. What’s deeply frustrating about this process is how the military, of which I’m proud to be a part of, can manage to make the per unit cost of a $500 handgun balloon up to $1,000 per unit before the ammo cost. It’s just silliness. What do you think? Do you think the MHS is an unnecessary waste of taxpayer dollars? Or do you think that the Army, and eventually the military at large really need a new handgun? Did Taurus buy old Colt machining to make their 1911s? More importantly, do you think the requirement to supply the ammo was a way to keep Glock out of the group capable of providing a new handgun? Not really, no. If S&W partnering with GD is acceptable, there’s no reason that Glock couldn’t partner with an ammo manufacturer like ATK to do the same thing. Glock can’t win since being modular is a must. What’s screwed up about this is $500 is retail for a handgun. Granted, I did read profit margins for firearms is low, at least for dealers, at the bulk of weapons the DOD would be needing, it would seem taxpayer could or should be in the $300 range. Especially with everyone going polymer these days. With accessories of holsters, cases, cleaning supplies, etc bringing whole cost under $500 ideally. How much is it really to injection mold kydex in a modern factory? Look at the glowing reviews for the Canik TP9, made by what they say is a major Turkish defense contractor. If that can be made to what appears Glock durability for a $300-$400 price point, why couldn’t we? Unless of course Turkish labor is very cheap. 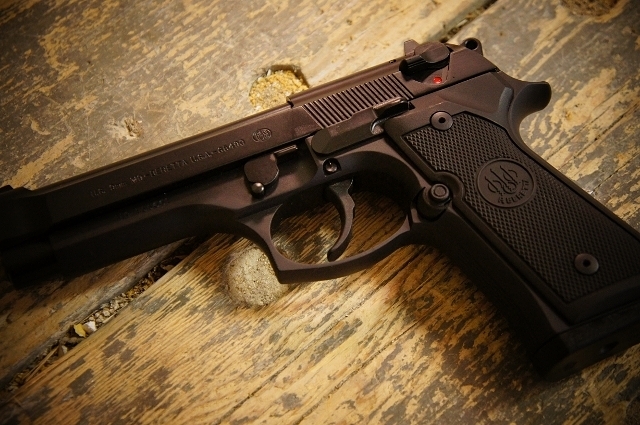 For a fraction of 1 billion dollars they could replace all of the existing Beretta’s with the 92SD and get a better weapon that will work with existing mags and accessories. The armor’s would need a recurrent training to include decocker maintenance, but otherwise the knowledge transfers. Then maybe (I’m dreaming here) the entirety of the Armed Forces could agree on carry with one in the pipe but decocked. Even though the Beretta has pretty much done the job required, there are and always have been better options. Soldiers carry such a large amount of equipment that weight is always a consideration. Plus the Beretta is of the one size fits all design and really not a good choice for a large number of personnel. Especially with the increased infiltration of women in the combat roles. The new plastic guns offer a lot of advantages over the classic metal frames. The military will always be looking for better tools for the job, just as they should be. All that said, just how much actual action and use does a pistol get in combat? It is basically something to have with you so you are armed, or a weapon for emergency use because your main weapon is out of ammo or malfunctioning. Is it worth a billion dollars to have the latest pencil? It’s still a pencil. 1) The MHS must be positively buoyant in water (with loaded magazine inserted). 2) The MHS must incorporate real-time wireless GPS technology, such that commanders in the field can account for the location of every weapon all the time, at any time. 3) The MHS must also be constructed, as to function as a secondary, high-energy food source, in the event personnel become isolated and lack access to MREs. 4) The MHS shall incorporate pink racing stripes into its color scheme, to ensure all genders (and non-genders) can utilize the weapon system without suffering the effects of micro-aggressions of homogeneous weapon coloring. LOL – you must work in DoD procurement. I hope Sig wins, I just bought a brand new P320 for $399, great price I though. Isn’t there something in the Gunwriter Bylaws about using the word “venerable” for something other than the 1911? I think there is, but I can’t find my copy. 1 Billion is a lot of money, but isn’t a single fighter jet much more than that? Depending on the aircraft, sure. But that’s not the point, because an aircraft should cost more than a handgun. I would bet on the program being cancelled, like a lot of the Army’s recent procurement programs (XM-8 rifle, Comanche helo, Crusader SP howitzer, the “Future Combat System”). Some flinty-eyed senator is going to suggest that the Army buy new M9s for 1/2 the cost, or less, and that’ll be it for this program. The 9 is not powerful enough and should be replaced with a good 10 mm. The speed of a 9 and the knock down of a 45. Can it. 9 is fine. Always was, always will be, and is more so now than ever. Wouldn’t it be cool if a major law enforcement agency had experience using the 10mm? That way we’d know about some of the stuff like how normal people could handle the load and stuff! A few state police agencies have used 10mm. Looking around Kentucky at one time used 10mm. Maybe Michigan State Police as well? Saginaw, MI police I heard were using .357 sig. I have read in articles departments moved away from 10mm and some comparable cartridges because recoil inhibited accuracy for a lot of officers, the cost to train with it, and more recently the advances in 9mm terminal ballistics (and corresponding FBI studies) made it a desired round. Why do Special forces, NSW, etc choose the Glock 19 which they can get for $400 or less, but the “regular” troops need a handgun with a total cost of $1000 per unit? Sure there are much better rounds than 9mm for knock down power, but given that European NATO allies utilize the round, it makes sense. I’ve heard speculation of 10mm, 45ACP, 40S&W, etc., but with modern bullets they say 9mm is very effective and you get to carry more rounds to put on target in a magazine. The comment about special ops getting a $400 Glock and regular infantry getting a $1000 gun is a very good point. If anything, if a Glock is durable and light enough SpecOps, it should be fine for the regular Army. If anything, forget the special interests, Army Brass, and Senators dictating the weapon. Determine the price point and let SpecOps guys evaluate the prospective gun, as they will go to war somewhere a lot sooner than normal military.